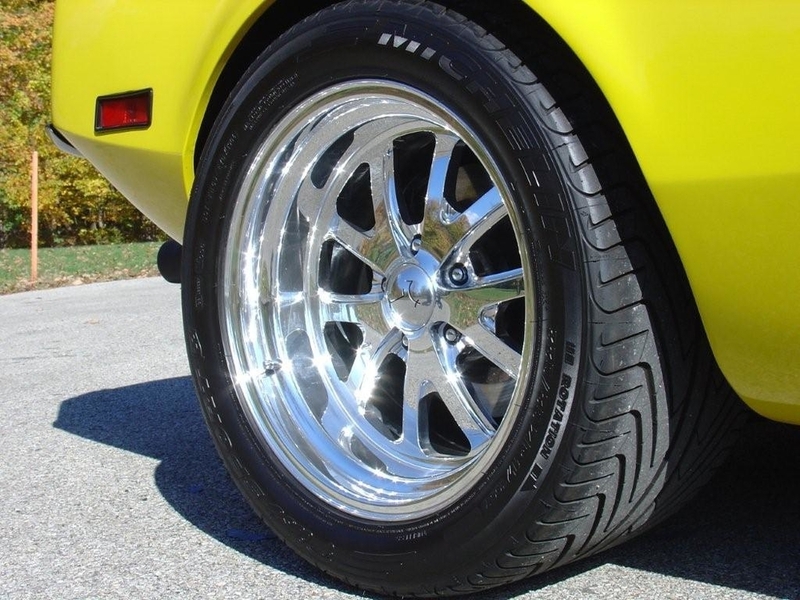 It might not be exactly what it is ment to be discussed here, but by now many has been on the topic of wheel and tire sizes. By looking around here you will find enough info to make that sort of choises, BUT what should I chose regading style when I in a short while will need to order som new rollers? Please post a few photos of the more unusual wheels out there! 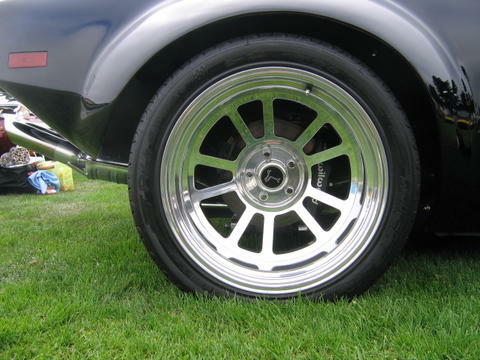 I'm not old school when it comes to sizes, so until somebody reproduces the Campys in 20 x 12 rear & 18 x 9 front, I'll run this wheel, which I specified because it will be easy to maintain; no polished aluminum, no exposed hardware (its a 3 piece wheel), 7 large easy to clean spokes painted to match the body color of my Pantera & a chrome plated rim. 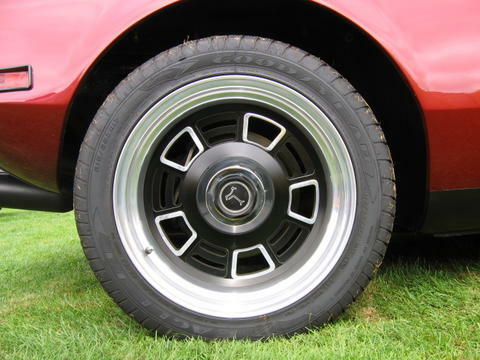 Stop teasing us, Paul, with the miniature thumbnail of your wheels! 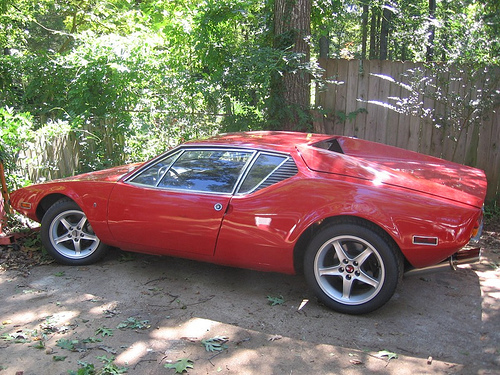 Give us a nice profile shot of your Pantera. 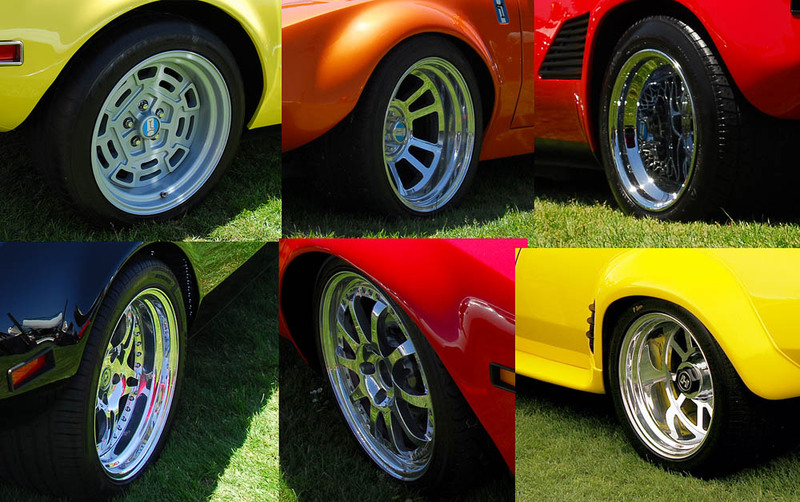 Mark Green compiled quite a number of photos of wheels. I have added them to my site. 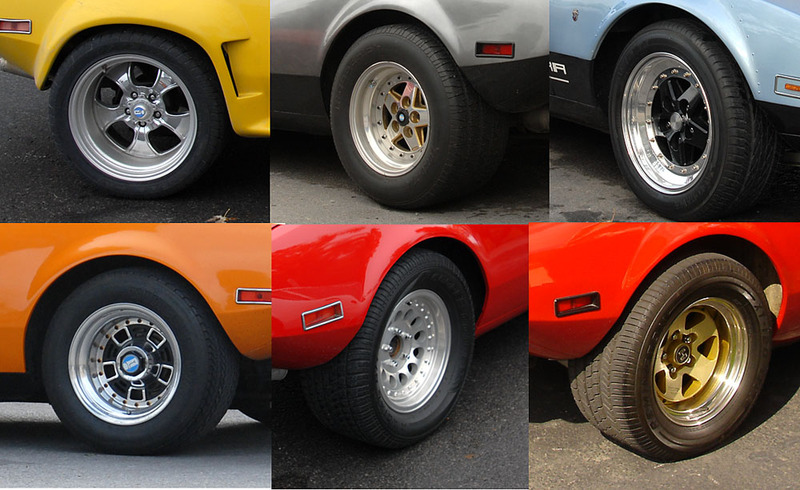 I am still organizing them and adding wheel or tire information, but if you know the name/style/size/source/owner etc... of a wheel let me know and I'll add the information. This should give people thinking about wheel options something to review and compare. 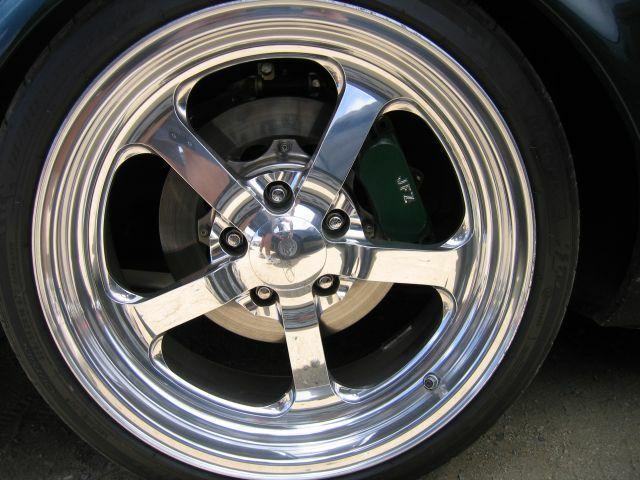 By the way, I have to attribute the wheel pictures I have to Garth66. I couldn't rememember the source. I may have added a few to his collection. 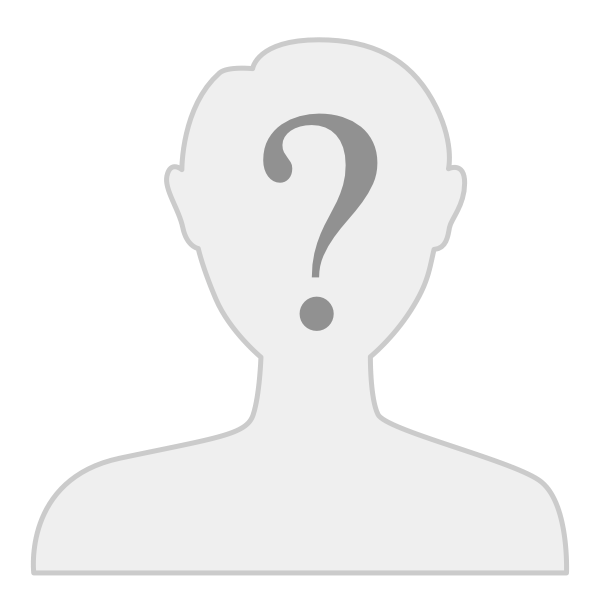 Why is it necessary that we register with your site in order to view it? Those wheels look awesome! 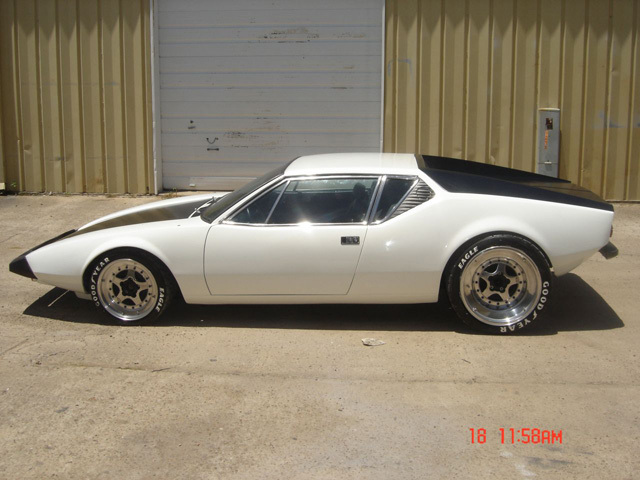 Do you have a dead-on side shot of your Pantera? What sizes are those Nittos you're running? Those wheels look awesome! 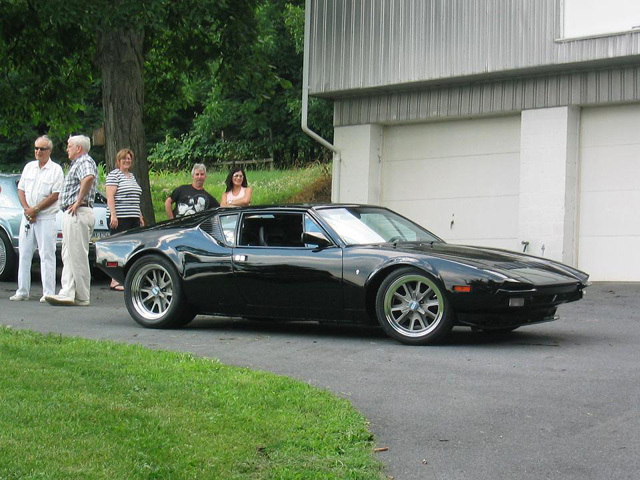 Do you have a dead-on side shot of your Pantera? What sizes are those Nittos your running? My apologies to Garth. Excellent idea to collect the pics at the event. 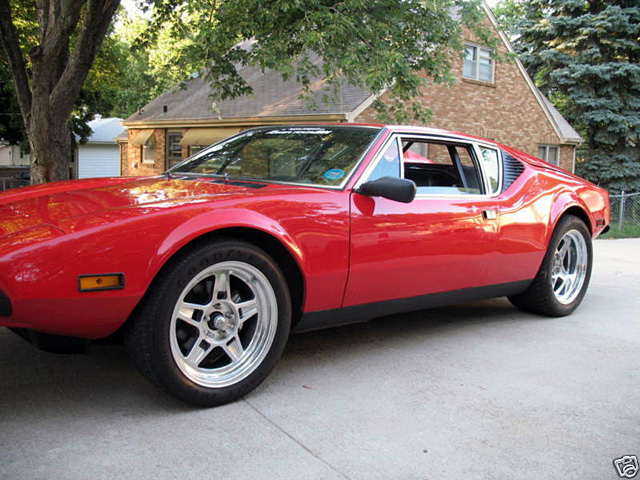 Hey Paul ... your Pantera is rippin'! Garth I like wheels that have real tires on them. I like that. 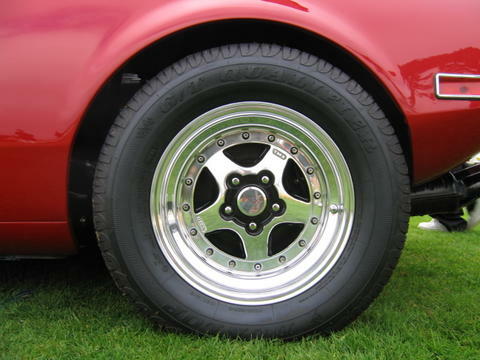 You guys need to put bigger rotors in your brakes to make your wheels look right now. Looks like you need about 14 1/2" rotors up front and, oh maybe 16" rear rotors. Making them out of carbon fiber ceramic is real in thing to do now a days too. 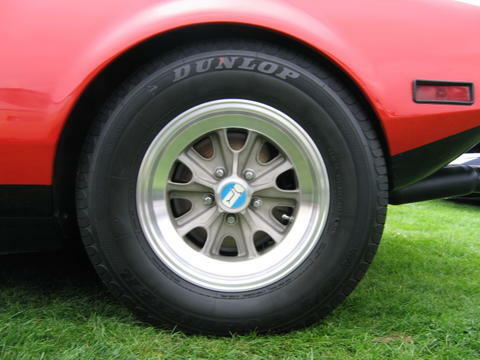 Don't forget the red six piston calipers too, they look just dandy winking out from your wheels too. Close up of the FR500. It's also available in silver and polished. Not that unusal and I'm considering changing(someday). 16's front with 17's back. 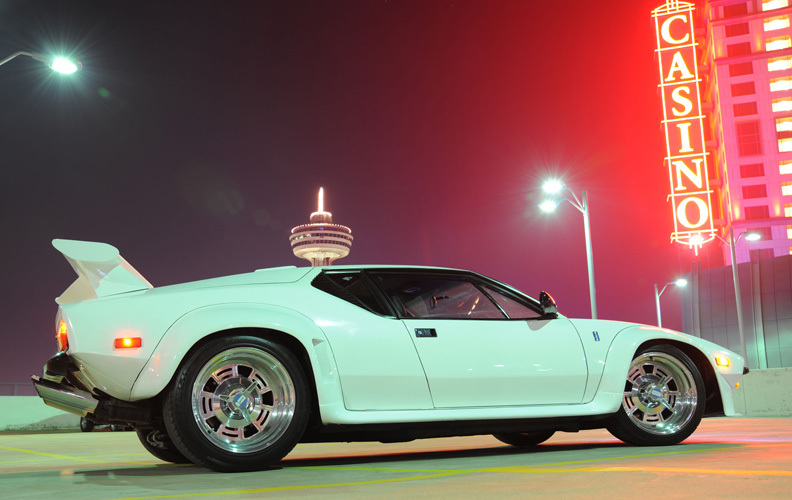 Pantera East Campy Clones by Coddington. Kinesis K58 and K59, non-polished silver anodized centers. 18 x 11 and 19 x 13 with 285/30/18 and 345/30/19 Michelin Pilot Sports. Michael, those are some sick wheels, dude!